Jon Jones’ most recent drug tests have clean results. Jones competed at UFC 232 on Dec. 29, 2018. He went one-on-one with Alexander Gustafsson in a rematch for the vacant UFC light heavyweight title. “Bones” won the bout via third-round TKO in a dominant performance. Fight fans can breathe easier with Jones’ clean test results. “Bones” has failed two drug tests under the USADA era. He popped for banned substances ahead of UFC 200. Jones blamed male enhancement pills and USADA agreed, giving him a reduced sanction. Then, Jones failed a UFC 214 drug test for turinabol. He claimed he had no idea how the substance entered his body. USADA took Jones’ word and worked on an agreement to reduce his suspension again. 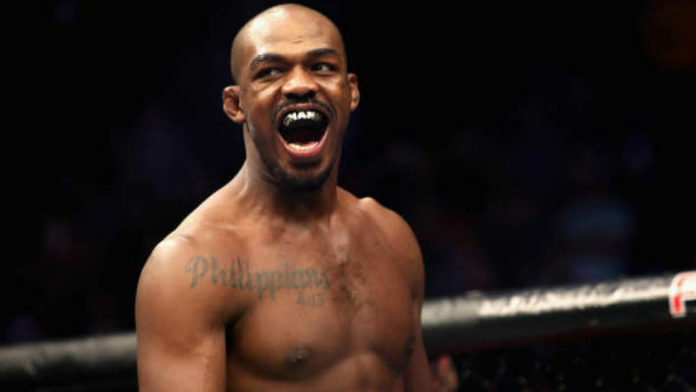 Jones is scheduled to defend his UFC light heavyweight gold against Anthony Smith on March 2. It all depends on whether or not the NSAC grants Jones a license. UFC 235 takes place inside the T-Mobile Arena in Las Vegas, Nevada. The planned co-main event is a welterweight title bout between champion Tyron Woodley and Kamaru Usman.